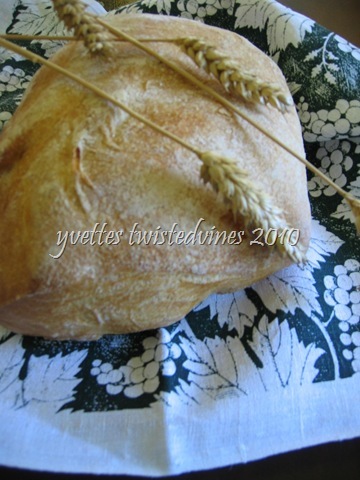 This is the type of bread I used, a crusty outing with a well cooked centre…a ciabatta or cob would be great to use also. Firstly, thinly slice the red onion and soak in water and white vinegar for about an hour.Wash and pat dry the rocket and basil leaves,roughly break the basil leaves and with the rocket place in serving bowl.Cut bite sized slices of tomato and place in bowl with the ready soaked onion. 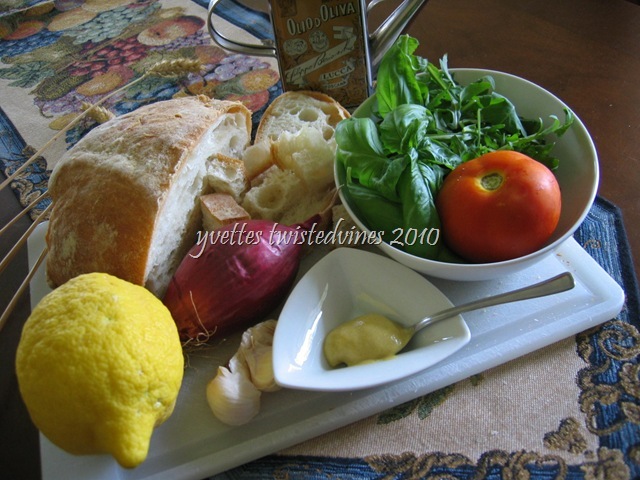 Prepare the dressing.Place the lemon juice, mustard and 4 tablespoons of olive oil in a mixing bowl.Add the juice of a crush garlic clove,add salt and pepper and whisk madly for a few minutes making a creamy dense dressing. Cut 1.5 – 2.0 cm thick slices of bread.Toast and cut into cubes.Heat 1 tablespoon of olive oil in frying pan,add the juice of 1 garlic clove and heat through the bread cubes for a few minutes.Add to the rest of the salad ingredients.Mix and pour over dressing. Your Wednesday words are turning our world of food into something much more exotic! How can a salad continue to be called a salad when it can be Panzanella? Enjoying your posts as always! It wasn’t easy this week,but I got there!Panzanella is really delicious…this dressing gives it a creamy mustard boost! Hi Yvette – Thanks so much for stopping by my blog. I’ve always wanted to make Panzanella but I never have. Not sure what I’m waiting for but your post has inspired me to try it soon. Love your blog and all of your recipes sound delicious. 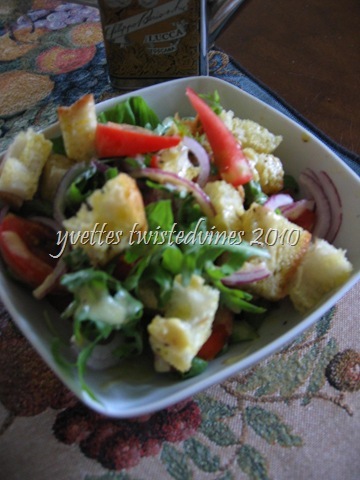 I love Panzanella, and Yvette yours looks buonisimo!